How many times have you gotten dressed, looked in the mirror and said “Something looks ‘off’ here”? It might simply be a matter of proportions. Proportion is the framework with which we build our outfits, consciously or not. And the relative proportion of color or design elements can make or break a look. There are many guidelines I use to help to determine what looks best on me and on others when combining separates. One of the most useful is the Golden Ratio – also called the Golden Mean – a ratio that appears in nature that we find aesthetically pleasing. The Golden Ratio has applications in mathematics, architecture and art…and also fashion. The ancient Greeks claimed that a 1/3 to 2/3 ratio is the most aesthetically pleasing division of spaces. In fashion, this is often referred to as “the rule of thirds”. 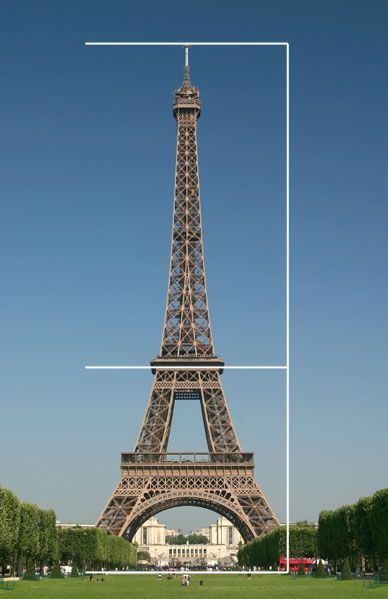 Look at the Eiffel Tower, considered one of the greatest structures ever erected. It breaks visually into roughly 2/3 at the top, 1/3 at the bottom. Painters and photographers use visual applications of the same ratio to compose their works. How do you apply this to dressing in a way that is proportionally most pleasing to the eye? 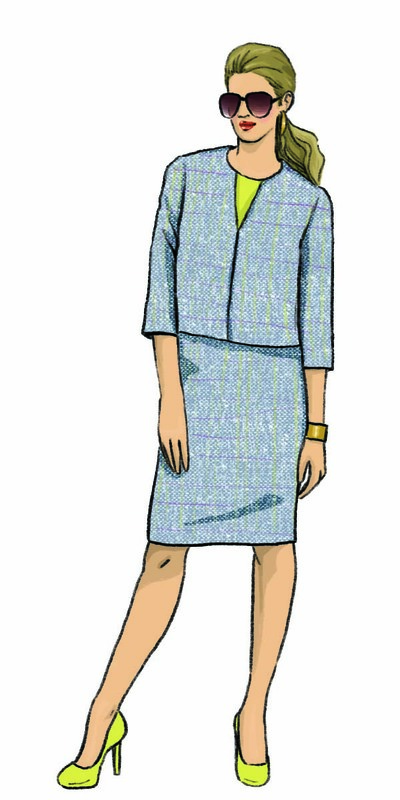 – The blue-gray suit in the illustration on the far left is boxy looking because the jacket and skirt are about the same length (1/2 to 1/2 as parts of the whole ensemble). A short jacket looks best with a longer skirt or trousers. The Chanel suit in the illustration at the top of this article is more interesting because the short jacket tops a longer length skirt. – A longer jacket looks best over a short skirt (see the tan suit above right, which is a 2/3 to 1/3 rela tionship) or even with trousers, not with a skirt that’s mid-calf length (as this would create a 50:50 – 1/2 to 1/2 – relationship). – Style expert Imogen Lamport illustrates “the rule of thirds” so well on her blog (illustration at right) that I wanted to share it here: The two outside pictures are in 1/3 to 2/3 ratios; the two middle pictures are splitting the body into halves and neither is as visually appealing as the outside two. • When evaluating the proportion in an ensemble you’re putting together, consider your entire look, from head to toe. For example, black tights worn with a black skirt are viewed as one element since the tights will appear as an extension of the skirt. • Always check a full-length mirror to see if the length of your top works with the bottom. Easy adjustments can often be made. For example: 1) On the left, the long top bisects the figure, dividing the space in half, which is not only uninteresting but also hits the model at her fullest body part. 2) In the middle, adding the belt creates a division of space into thirds, which is more interesting. 3) On the right, tucking in the blouse and adding a belt creates the ideal proportion of 1/3 to 2/3…and notice how it also creates a slimmer, taller appearance overall! The rule of thirds is not an absolute but it’s a guideline that, when combined with a knowledge of how to dress for your body type, can help you dress your best. Once you pull on that top or jacket, remember it’s a matter of proportions. Applying the Golden Ratio can make you feel more “aligned”. Now if you are still fretting in front of the mirror, contact me for an in-person or virtual consultation on how to polish your style and dress your best. Our first half-hour together is complimentary. I look forward to helping you! Loved this article. Very helpful information for everyone. This could lead to the different widths of belts work best for different looks and or body types. Would love to hear your thoughts on this someday. I love your thoughts about expanding these concepts and will work on your ideas for a future post. Thank you! A very informative and well presented article. I loved how you used the pictures to illustrate your points. I knew about the rule of thirds in photography, but I had no idea it applied to style and fashion as well! Time to start paying more attention to the proportions of my clothes. As if I needed an excuse to spend more time in front of my new full-size mirror! 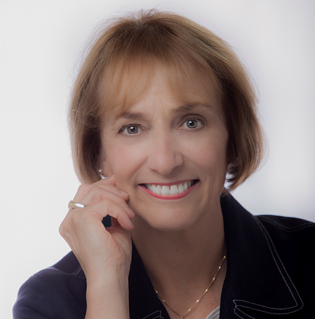 I’m delighted to have presented you with this information on wardrobe styling! Great article! This has helped massively, as I never know what clothes match with what. Lucy, I’m delighted to know this article has been helpful to you. I just took a long look at your website – lucyalice.co.uk – and am very impressed with the collection of tailored women’s business suits you offer. I wish you much continued success! I have read several articles about proportions and looking your best. What about a dress that is the same print or solid color from shoulder to hem? In your photos above (combining separates) you show a suit with a short jacket and matching skirt. You said that the jacket should be shorter or longer. How would you handle proportions for a dress? Would you consider the shoulder-to-waistline and then waistline-to-hem? I just sewed a dress that may be too long for me. Please help. Thank you. In the case of a dress that is one color or design from shoulder to hem you would consider it as one length and, unless you are wearing it with a jacket or sweater, the rule of thirds would not apply. So now the question is where should the hemline of the dress fall? Hemlines are horizontals that stop the onlooker’s eye so you want to be sure they fall at flattering points on your body. That said, your dress hem should fall at a flattering part of your leg. Stand in front of full-length mirror and raise and lower the skirt of the dress to determine what length is most flattering for you, whether above your knee or below, depending on the style of the dress. I hope this helps!